Brooklyn was once known as America's brewing capital; at the turn of the 20th century Williamsburg alone was home to nearly 60 breweries. The originals are mostly gone, but this relative newcomer is bringing hops back to New York. New York taverns were community civic centers where the important issues of the day were debated by everyone from politicians to the workers who built the Brooklyn Bridge. In the afternoon and evening, it was common to see children scurrying back and forth to breweries and neighborhood taverns carrying pails of fresh beer, known as growlers, for their parents to enjoy with dinner. In 1984, Associated Press correspondent Steve Hindy returned from a six-year stint in the Middle East and settled in Brooklyn's Park Slope neighborhood. Hindy had caught the home brewing bug from diplomats stationed in Islamic countries like Saudi Arabia and Kuwait where alcoholic beverages were forbidden. 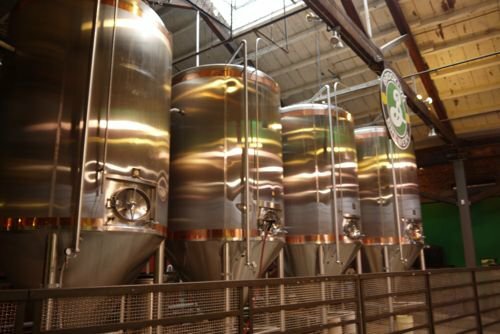 With his downstairs neighbor, Tom Potter, a former lending officer at Chemical Bank, Hindy quit his job and founded The Brooklyn Brewery; with the initial goal of bringing good beer back to New York City. Their Brooklyn neighbor, Soho Natural Soda founder Sofia Collier, advised the budding entrepreneurs to distribute their own brands with their own trucks. They bought a van and a small beverage truck, painted their logos on the sides and began peddling Brooklyn Lager store to store on their own. 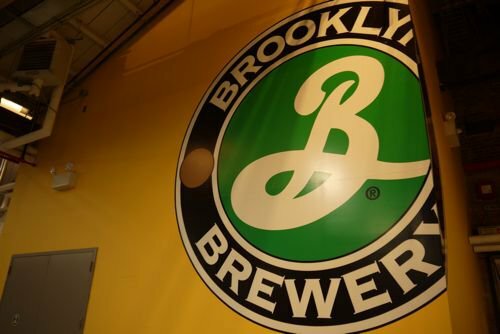 In 1994, they hired the highly respected New York brewmaster, Garrett Oliver, to design their planned Brooklyn plant and oversee production at the Utica Facility. 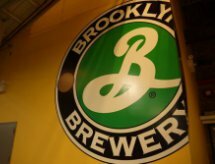 On May 28, 1996, Mayor Rudy Giuliani cut the ribbon to open the new Brooklyn brewery. Giuliani poured the first official glasses of the first beer, a Bavarian style wheat beer known as Brooklyner Weisse. Oliver then developed many new Brooklyn beers, including Brooklyn Black Chocolate Stout, Brooklyn East India Pale Ale, Brooklyn Pennant Ale '55 and a long list of seasonal and special beers. His beers have won many national and international awards, and his book, The Brewmaster's Table, has become a favorite among beer connoisseurs and food enthusiasts alike. Today, the company is working hard to expand Brooklyn's presence in New York and beyond. In 2004, the company extended its U.S. distribution to South Carolina and Georgia - the first expansion in a decade. 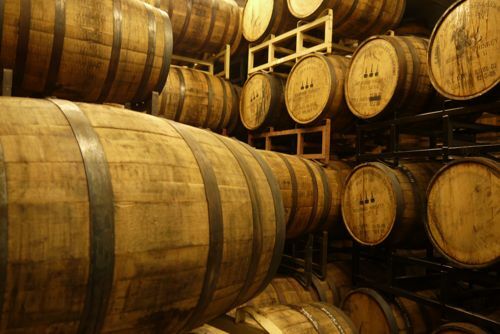 In 2006, the company began selling beer in Michigan. 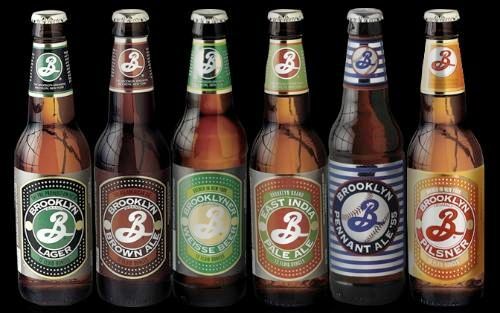 Brooklyn Brewery also ships beer to Denmark, Sweden and Finland, as well as existing export markets in Hong Kong, Japan and Great Britain. 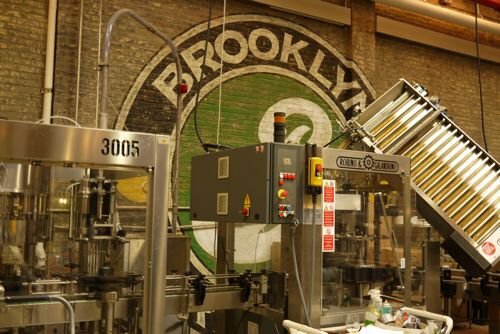 In March of 2011, Brooklyn Brewery held a ribbon-cutting to celebrate the opening of its new $8 million expansion of its North 11th Street headquarters. Happy Hour is Friday from 6-11pm. Beers are $4 each (or 6 for $20), to snack on they've got salty and sweet treats from the ladies at Ovenly. Currently they're making Curried Cashews and Spicy Bacon Carmel Corn (Brooklyn beer is the secret ingredient). Our English style "Best Bitter" has a mellow bitterness and a slightly sweet malt flavor. Its enticing aroma is derived from rare imported Kentish hops. SILVER MEDAL, 2007 Colorado State Fair, Extra Special Bitter. This amber ale has a rich toasty and bready character with moderate English hop bitterness.